Situated in Abbadia San Salvatore, this guesthouse is within a 10-minute walk of Abbazia di San Salvatore and Mining Museum Park. Baths of San Filippo and Monte Amiata are also within 9 mi (15 km). 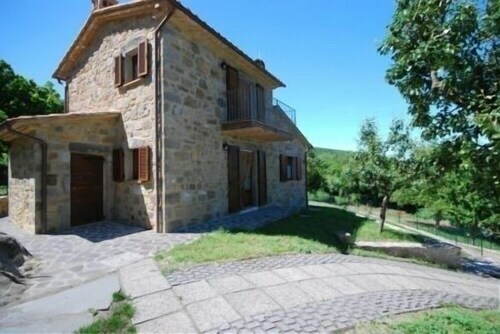 Situated in Castel del Piano, this vacation home is 2.5 mi (4.1 km) from Garden of Daniel Spoerri and within 6 mi (10 km) of Mount Amiata Fauna Park and Castle Arcidosso. 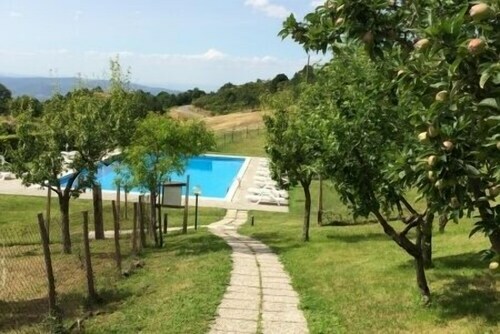 Monte Amiata and Parco Piscine Capenti Outdoor Pool are also within 9 mi (15 km). 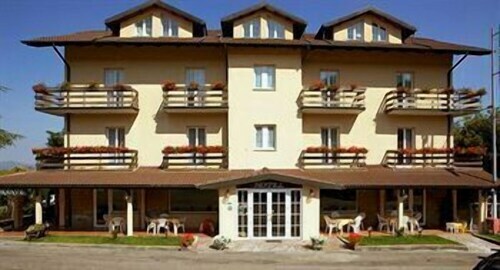 Situated in the mountains, this hotel is within a 10-minute walk of Abbazia di San Salvatore and Mining Museum Park. Baths of San Filippo and Monte Amiata are also within 9 mi (15 km). 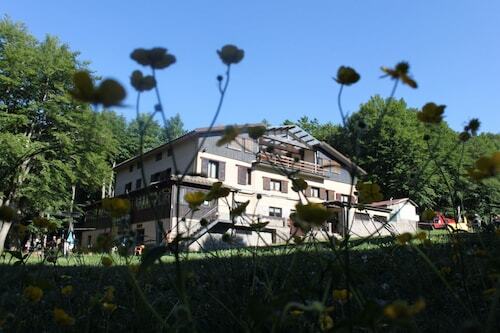 Situated in a rural location, this apartment building is 2.5 mi (4 km) from Garden of Daniel Spoerri and within 6 mi (10 km) of Mount Amiata Fauna Park and Castle Arcidosso. Monte Amiata and Parco Piscine Capenti Outdoor Pool are also within 9 mi (15 km). 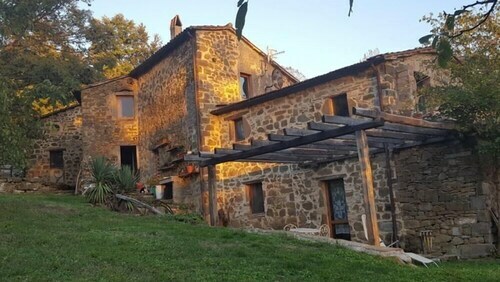 Situated in Seggiano, this farm stay is within 9 mi (15 km) of Garden of Daniel Spoerri, Monte Amiata, and Mount Amiata Fauna Park. Castle Arcidosso and Mining Museum Park are also within 9 mi (15 km). Human beings weren't designed to spend all their time living in cities, surrounded by concrete. An adventure to places like Monte Amiata isn't just good fun, it's a necessity. In order to explore it, you will have to travel to Castel del Piano, 80 miles (129 kilometers) from Rome, the country's capital city. The Albergo Le Macinaie is just 1 mile (2 kilometers) from Monte Amiata, making it a wonderful place to enjoy some rest and relaxation during your stay. If you'd like to pocket a bit of money for some of the more important things in life, you can stay at one of the economical solutions in the surrounding area. A couple of recommendations are the Sant'Alberto and the Agriturismo Grossola. 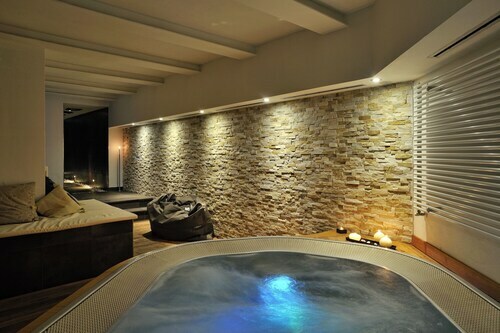 You definitely deserve some time at one of the few luxurious establishments in the area. You may wish to have a look at the Park Hotel Spa & Resort and Grand Hotel Impero Spa & Resort. For visitors that would like to appreciate every bite of a real meal, try Bar La Vetta Di Landi Luigi (Localita' Vetta Amiata, 2, Abbadia San Salvatore). Just 0.1 miles (0.2 kilometers) away, Due Cime (Loc. 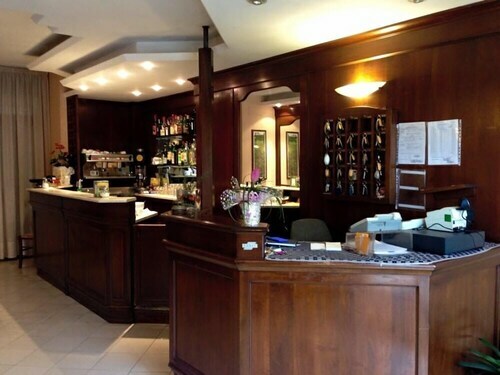 Pianello, Abbadia San Salvatore) happily welcomes patrons who appreciate a good wine or beer. Visit Mining Museum Park, a historic mine where you can picture life long ago. Smart shoppers will want to make a beeline for Pinzi Pinzuti, a prominent store which some travelers visit for. Get a taste of monastic life at Abbazia di San Salvatore, a monastery in the region. Set aside to let Mother Nature flourish, Garden of Daniel Spoerri is a peaceful place to admire the birds. Spend some time cooling off in the water at Parco Piscine Capenti, the whole family will love a day out here. 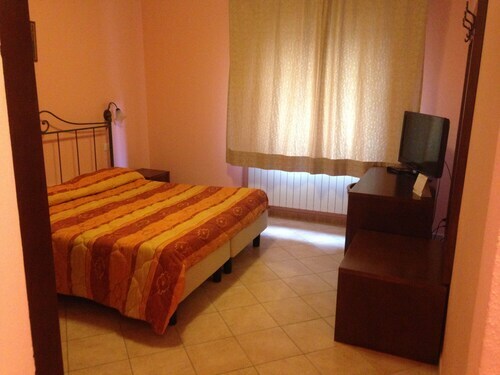 How Much is a Hotel Room in Monte Amiata? 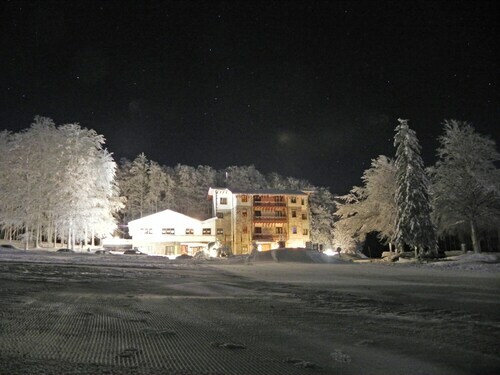 Hotels in Monte Amiata start at $36 per night. Prices and availability subject to change. Additional terms may apply.